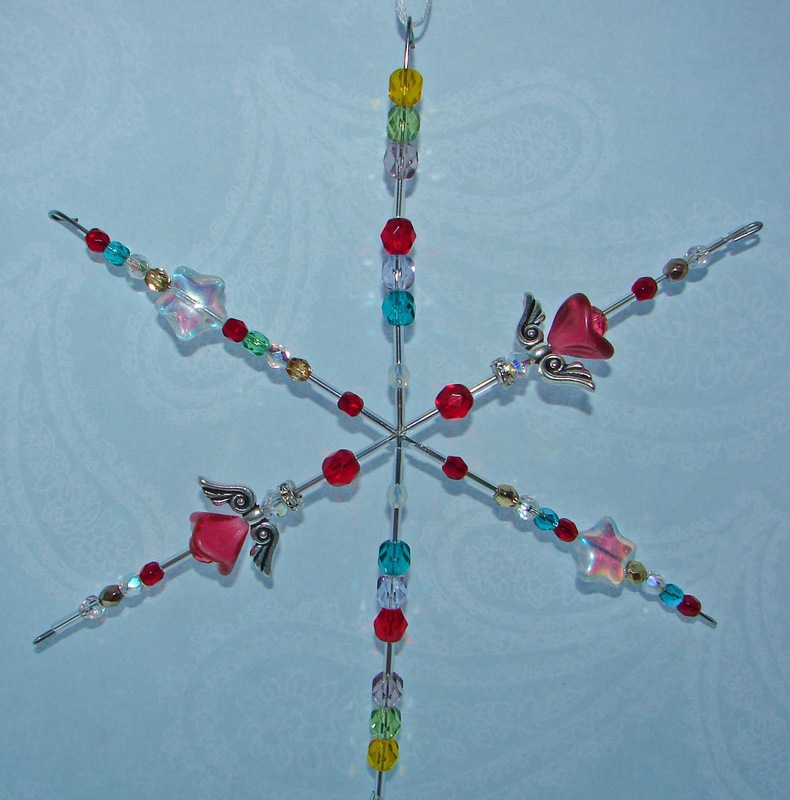 I made these a few years ago exclusively with Swarovski Crystal beads, the results stunning, but expensive. 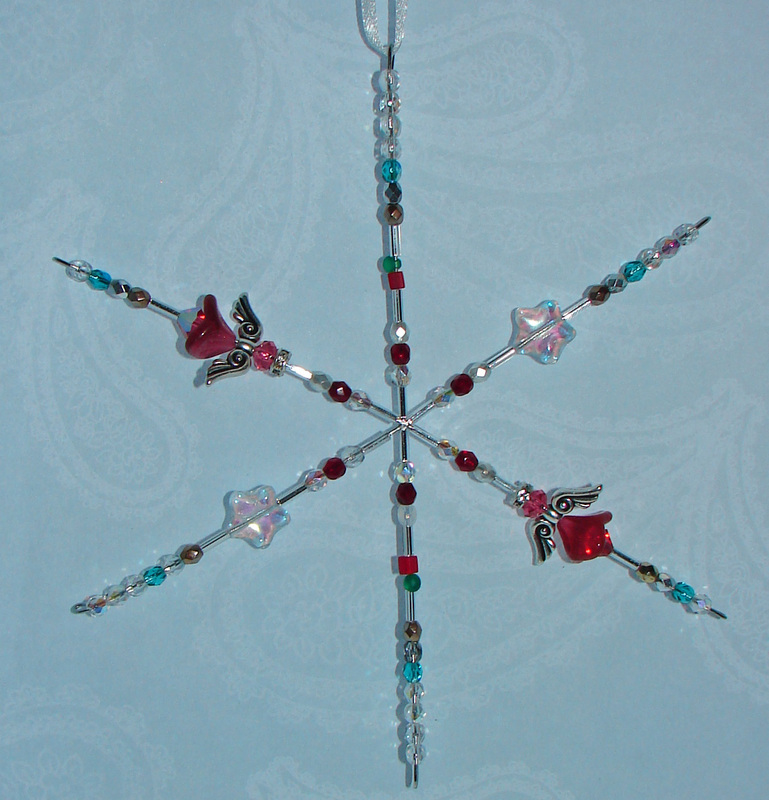 So this year I made it with Czech Beads and some Swarovski Crystals. Both these snowflakes have little angels on them. What do you think? are they cute. They are approx 6" x 6". A ribbon is tied to the top so you can hang them wherever you would like. I will have these posted to Krystal Kat's this week for purchase. Hope you like them?